What’s the antidote to those greyish days when life just feels a bit dull? Well, you can grab a pair of rose-tinted glasses. 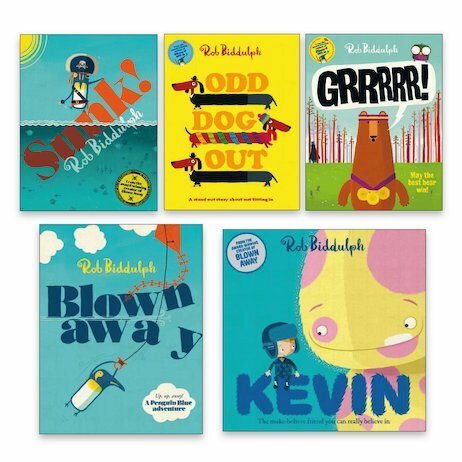 Or if you don’t have any of those lying around, why not enjoy a picture book by Rob Biddulph? The place to come if you want something whimsical, offbeat or wonderfully quirky! What if Sid’s vanilla-and-pink imaginary friend really came to life? What should Fred the bear do when he loses his GRRRR? And what’s it like for one little sausage dog to always be the odd dog out? Well – in these books everything’s a bit odd, so she’ll fit right in, we think!